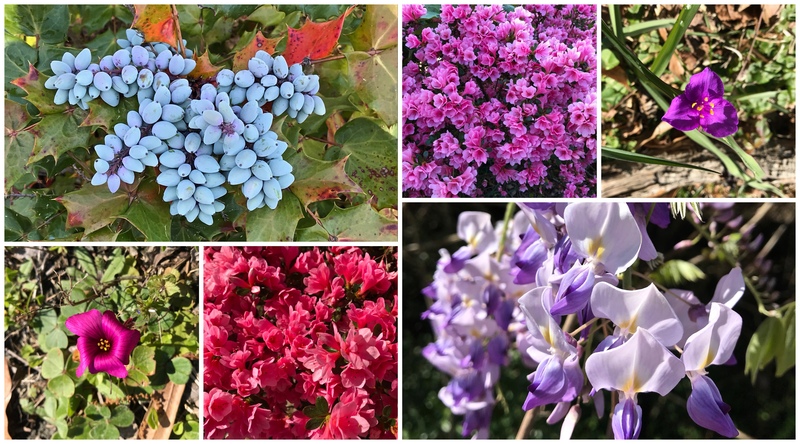 This entry was posted in South Carolina and tagged Azaleas, Cooper House, Cooper House and Event Center, Gardening, Oregon Grape Holly, Photography, Sarvis House, Socastee, Socastee Historic District, Socastee Swing Bridge, South Carolina, Thursday Doors, Wisteria. Bookmark the permalink. The thought of an outhouse strikes terror in my heart, but I love doors as outdoor art! What a beautiful touch of the south! It always amazes me how many family members could be stuffed into homes of minimal square footage back in the “old days!” And nobody seemed to complain because when they got married, they repeated the same thing! My daughters would have had a hissy fit without a “pimped up” room of their own – complete with phone and tv set! I am becoming more and more partial to unpainted houses, and though ornate doors are a pleasure to behold, so are the simple, unadorned ones. Poor Lucy was probably worn out from having all those children. The old general store looks like a great place for events. Reminds me a little of the Grange Hall in East Vassalboro, where we had my daughter’s wedding shower. Old timey and perfect. Plus, my mother had been a member, and it was a way to honor her memory. Safe travels back to New England. Sure is! My mother loved the Grange community, and it was a lovely way to include Mom, even though she died two years before my daughter was married. Looking at that outhouse makes me really appreciate indoor plumbing! What a marked difference in the way these two buildings/property have been maintained. Love the doors in the garden. I’ve never seen Grape Holly….what a beautiful plant. Wishing you and Dennis a safe trip home. I know you’ve enjoyed your stay in SC, but I bet you’ll be glad to see your own front door again! These are beautiful doors to close out your report from the south, Judy. I love the porch roof on the Sarvis House, the loft door on the general store and the staged doors and house. Wishing you safe travels on your return. You should find temps close to 70 as you pass through Hartford. Love this part of the country, though sounds like I now have a new place to scope out. Great photos! Thanks for posting. I love the garden and the doors used as art. This is a beautiful compilation of door photos. I think that you’ve done the region proud with your pics. Good grief, 1881. Granted the porch has probably been rebuilt a zillion times, and ditto for the roof. But that house is still mainly from boards and wood from 1881!. The younger me would have just yawned and moved on. Now I ponder about how amazing that is. An ‘oldy’ but a ‘goody’. 🙂 Apparently, this area was covered in Wisteria in years gone by, but today it is hard to find so we got pretty excited with this one. A splendiferous post all around, Judy! If you have to have an outhouse, might as well decorate it just a bit. At least in the part of the world, it would be warm most of the time, unlike the one near our cabin in Wyoming!! Any post that has an outhouse door is tops on my list. This place has such an old time feel to it. I loved all of the colorful flowers too. I LOVE to visit places like this…they sure make me think about how much things have changed. Wow–a LOT of doors in one post–and so quaint and historic! My son is a Canadian transplant to South Carolina .. he has a hard time handling the intense heat in the summer , but doesn’t miss our snow and ice in the winter .. I am always a bit jealous of the gorgeous plants that southerners have to work with .. but then again we have beautiful Autumns ? This post gives me another aspect of S.Carolina .. intriguing ! Thank You ! Thanks for sharing all of your SC adventures. You have inspired me to get out and visit more places. I will do it next year. Fancy still living there until 2010! Poor Jane, that was bad luck to make it through nine deliveries and not survive the tenth. Wow. Oregon grape is beautiful. What a color! I’d never seen those, thank you. Love those structures, they all seem to blend beautifully into the landscape. I was wondering when you were headed back North. Safe travels my friend! I loved all your Carolina pictures! And these did not disappoint! Love the Oregon Grape Holly. The coastal islands of SC have a fascinating history. Of all those splendid doors, I loved the screen door the most. I could almost hear it slamming, just like the screen doors I used to know. What a sense of history in all of this, and a very personal history at that. Isn’t it a wonder how flowers seem to fit in any era? Thanks for this!